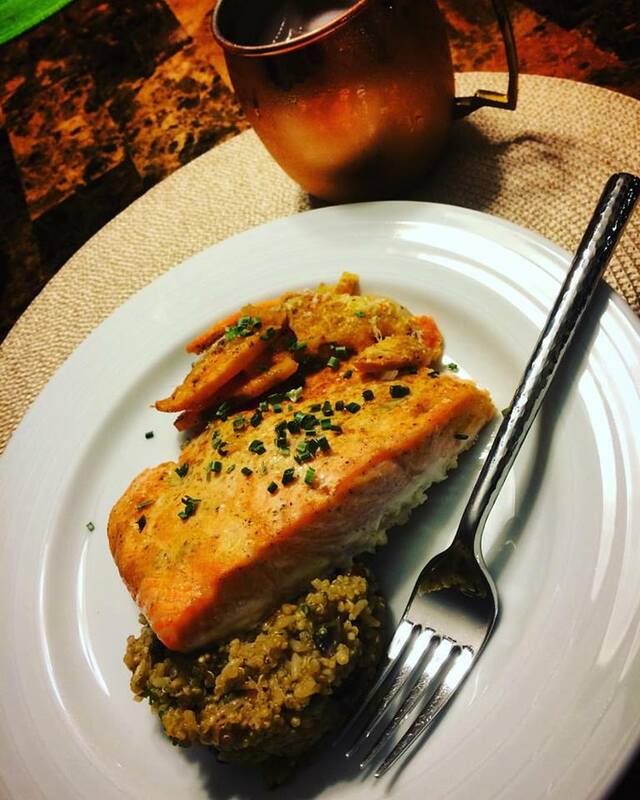 Slumps and Spicy Salmon…keepin’ it real! I’d be lying if I said I wasn’t in a bit of a slump. With the news of my husband’s upcoming deployment, I honestly don’t feel like doing anything other than sleep even though trying to get more than an hour of sleep at a time seems impossible. I don’t want to run, I don’t want to cook, I don’t want to do much of anything…I think my husband sensed my blues setting in, so he took me on a date on Friday. We only do date nights a few times a year, so this was just what I needed. I actually felt pretty, which doesn’t happen too often anymore!! We had a great date, first by going out to a nice dinner, and finishing the night off with seeing the movie, “Burnt.” As a wanna-be Chef, this movie was all that and a bag of chips in my book, and it really portrayed what being a “real” Chef entails. I highly recommend it to any food lovers! Today, staying with the theme of trying to quit feeling sorry for myself, I got up early enough to watch the New York City Marathon. A good friend of mine is running it, and I am always in awe of the enormity of this race. Watching the elites almost inspired me enough to go for a run, but my naggy Achilles and I decided to call it and clean the house instead. Because of course, I haven’t felt like cleaning either. I took out some salmon for dinner, and decided to change things up from my typical recipe of baking it with herbs and butter (recipe can be found HERE) and giving the salmon a little kick. Bake at 375 degrees for 30 minutes or until the salmon flakes with a fork. Garnish with chives, and serve with your favorite side dishes. I served mine with roasted sweet potatoes, quinoa w/portabella mushrooms, sweet potatoes, garlic and onions. What’s your go-to activity to get out of a slump? Do you like salmon? Did you watch the New York City marathon today? wow…great couple – wish you always the best! I did have 3 mini twix bars today, LOL. Eating and I aren’t always friends. Thanks for your constant love and friendship. I am so blessed to have met you. Awh Mickey trumps all! Lol. Love! Thanks so much. And thanks for reading and commenting. Yay! Glad you got out there! I love the picture! A lovely couple! Big hug! Beautiful pic of you two! Glad you got to enjoy a date! I got up early and watched the marathon too. Man, those elites are fast! I wish I would have had this recipe last night. I made salmon and it was nothing special. Love spicy food. I’ll have to try this one. Definitely will check out Burnt. It was on my “keep in mind” list and with your recommendation it moved to “must see” list. Enjoy your slump. It’s okay to just wallow for a bit. If it’s any consolation you don’t look “slumpy”. So pretty in your dress! I’m in a bit of a slump because of my calf lately (which is so lame when I compare a silly calf injury to your husband being deployed) and I still have yet to figure out how to pull myself out of it! I just want to sleep, watch TV, and eat junk food! We all have our own struggles/slumps…one is no bigger than the other if you ask me. I sure hope your calf feels better soon!!! ❤ Come on over, we can watch TV and eat junk food together, LOL! You looked GORGEOUS. No question. I wish I could give you the biggest hug ever. I know you are struggling, but you have to look at it as a process of grieving, and know that you have to allow yourself to feel your emotions for a little bit. But that you will also emerge from the gloom. And know that you are surrounded by people that love you and are there for you! Ahhhhhh Que. the. Tears. Thanks lady. I appreciate you so much. I went to see Burnt on the weekend too and loved it. So many good messages in it. I agree. I loved the last scene when he finally ate with everyone, realizing he didn’t need to be alone all the time. 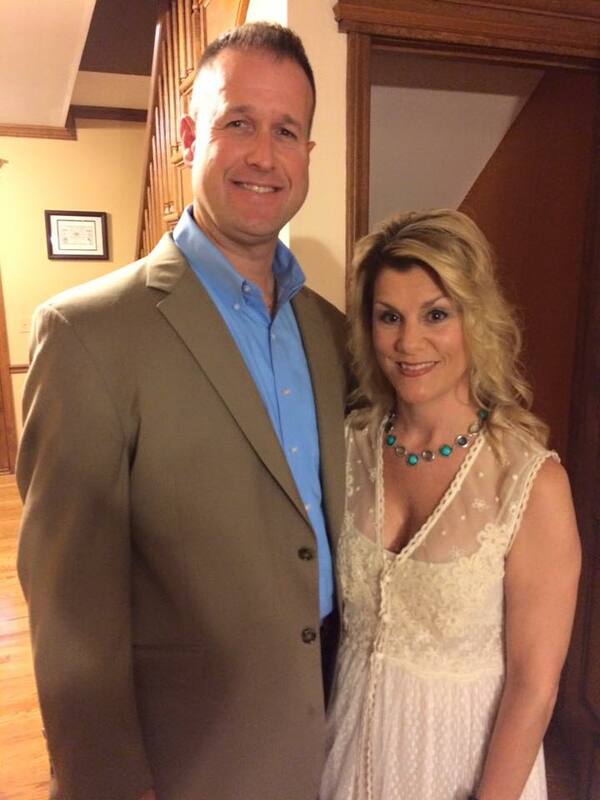 Yay for date night–you look so pretty!!! It makes sense that you’d be in a bit of a slump with the news but the date night sounds great, and you both look wonderful in the photo :). I caught the beginning of the NYC marathon as well and I agree, it was definitely inspiring. Thanks! Wasn’t the marathon amazing to watch?! I love salmon! I’m actually going to make a salmon curry soup tomorrow, I bet you would love it! And you look beautiful! Don’t sell yourself short! Do you have the chance to get a full night away before he leaves? Thanks!! Gosh a full night away? That’s a rarity. I’m not sure! My parents don’t keep the kids but my sister might!! You should try before he leaves!!! You two deserve it! We don’t really have people to keep the kids and house but it sure would be nice! My sister lives about an hour and a half away so maybe I could ask her! You look so pretty! Glad you enjoyed your date night.